The best movie I have seen in years. That’s not hyperbole. 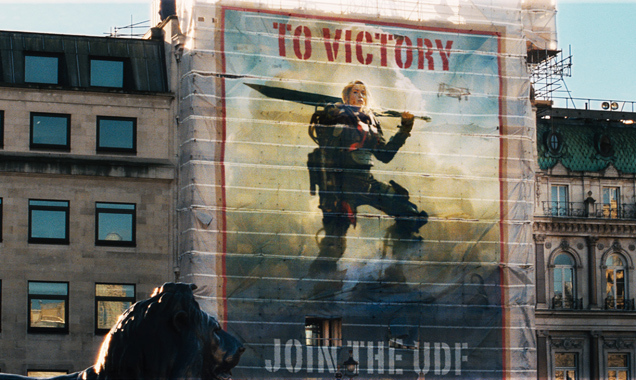 Edge of Tomorrow has it all. Every element of execution is top-notch. And that’s not to say it’s a pastiche movie with a diffuse focus; it’s tight as a drum. Director Doug Liman weaves it all together flawlessly. How did the director of Swingers get here? Did he always want to make high-concept films? Did his path just wind there organically through the people he met? I’m too lazy to seek answers to these questions and, really, it doesn’t matter. The work speaks for itself. Now, here’s where I’m supposed to come up with an eloquent synopsis. But I’m not going to do that either. I went into it cold. It was a Saturday night at a small theatre called the Roxy. 9:20 p.m. showing. Just me and my wife, our first date in three months. You could argue that this all had something to do with it, but I don’t think so. I don’t think it would have mattered where, or how, I saw this movie. I never got up once to go pee. I never went to get popcorn. I didn’t fiddle in my seat and look around and consider the sound equipment and wonder how recently it had been updated, or if that was the original proscenium arch framing the screen. 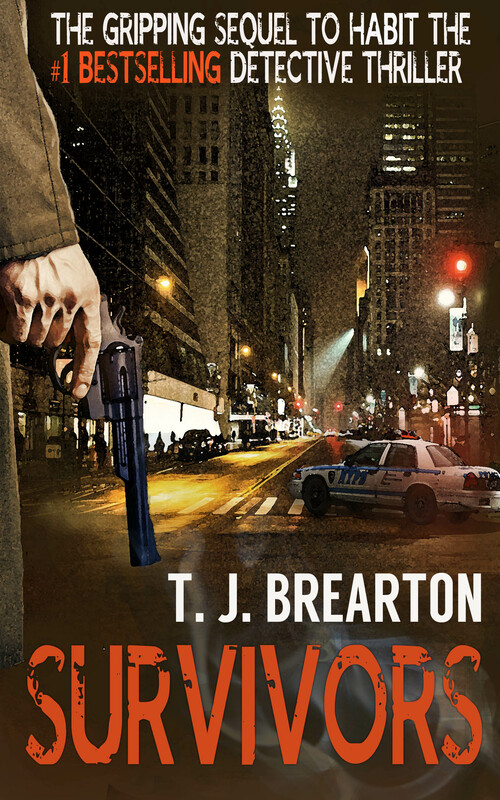 I was completely engrossed from start to finish. 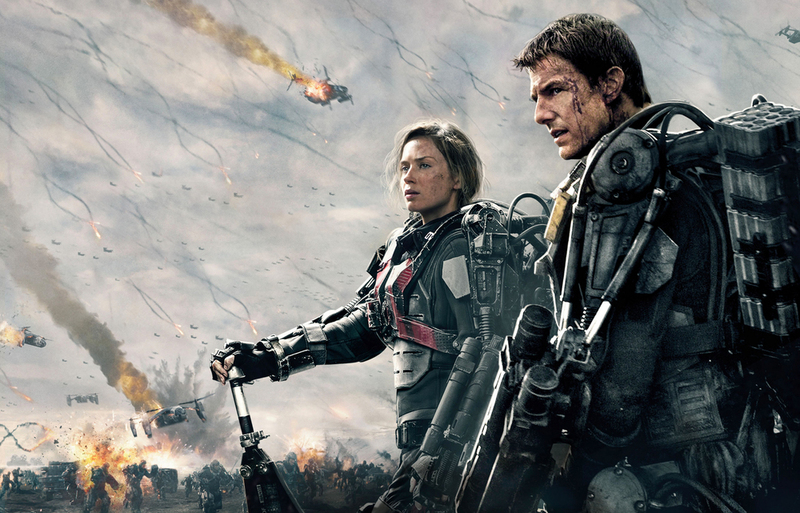 Edge of Tomorrow stars Tom Cruise and Emily Blunt and a host of superb supporting actors. Tom Cruise is one of those guys I kinda want to dislike, but dang-it if the guy hasn’t made some of the best movies around. And his ego seems to be aging well – he’s capable of roles where he isn’t The Most Amazing Guy Ever from the first scene. In this movie, he earns it. Watch it and you’ll see. When the moment does come, and the camera slowly swings round his face, jaw set, eyes glinting beneath the shadow of his brow, he’s earned every inch of becoming this molded warrior over the previous hour of the story. And Emily Blunt, well, what can you say. Captivating, convincing, perfectly suited for the part, just an immensely gifted actor. For the role she has to play, it’s hard to imagine anyone else pulling it off with quite the verve as Blunt. No movie can really be a ten. A ten doesn’t exist – it’s the point on the horizon you can never quite get to. So I’m going to give this movie a 9.8. That’s the highest rating I’ve ever, in my own head, given any movie, anytime, anywhere. It’s not 9.8 for a sci-fi movie. It’s just 9.8. One of the point deductions is in keeping with the theory that a ten is unattainable. The other .1 deduction is because there was one moment – just one moment, lasting maybe a few seconds – where I fell out of the story. The screen was very dark for a couple frames, a night scene, and I couldn’t tell what was going on, so my mind wandered and I caught myself thinking about something else. Then I snapped right back. The directing, the writing, the acting, the special effects, the concepts of the bad guys, the methods of the good guys, the sound, the music, the editing, all tip-top. I was thrown into the world of the film from the first frame. I could sense right away I was in good hands, so I let my guard down. Maybe it will be the same for you. Maybe the music will carry you, you’ll laugh, you’ll startle, you’ll root for the characters; you’ll smile at the person next to you because every moment in Edge of Tomorrow is somewhere you want to be.